I thought this was a great article. I think the move on CVS’s part will benefit them int he long run. I believe that off the bat their sales will be down a little due to the lack of tobacco products. However I believe that this will create a long term positive reputation for the company and create higher sale sin the near future as well as customer loyalty. Overall I believe this was a brilliant move on their end. I really respect the cause of this strategy done by CVS, as it may help a lot of smokers in this region. However, statistically there are 1.1 BILLION tobacco users in the world (as of 2014). This number is expected to increase to 1.6 billion over the next two decades. Therefore, subsequently their revenue will decrease dramatically due to certain factors. As a smoker myself I would rather go to Walgreens in order to buy all my needs, because it’s a one shop stop, and I would not have to go to two places for items and tobacco for other (time consuming). Hence, personally I do not recommend this strategy and I think it will decrease their overall revenue in the short and long term. Honestly, I disagree with the step CVS’s had done, it mixed business with emotions. In my opinion this is a very expensive PR and marketing stunt. I may be talking about my own bias since I myself smoke, I agree that some people want to quit smoking but there are others such as myself whom actually don’t want to. This move isn’t taking us into consideration, people whom want to quit will always be faced with temptations, whether its alcohol or tobacco, they must have stronger will power and not deny other people what they want because they can’t handle seeing a cigaret box or someone smoking does this mean that everything should get banned because some people are trying to quit. I don’t see other competitors moving in the same path as CVS unless they really need the publicity. While one commenter suggested that tobacco users are increasing worldwide, other sources suggest that the percentage of adult smokers in the US has dramatically decreased in the last 50 years. 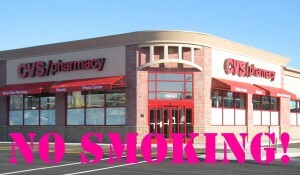 CVS, along with other pharmacies operating in the US, have been criticized in the past for selling cigarettes at their stores for the apparent contradiction to their main serving purpose (a pharmacy). 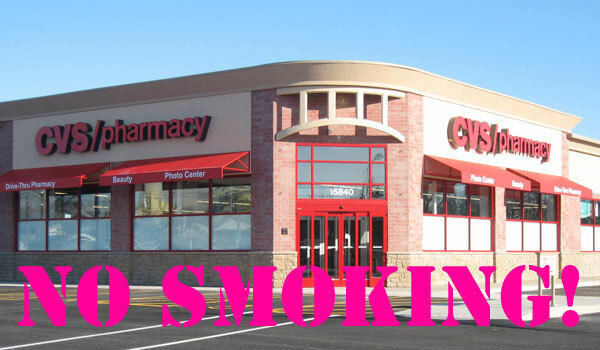 With a population that’s more aware of the health risks of smoking (especially the youth), I believe CVS’s decision will be imitated by other giants in the near future (namely Walgreens and Walmart). While the decision means the company will be missing out on $1.5 billion of annual tobacco sales, standing firmly by their decision, making people more aware of the health risks of smoking, and helping people quit smoking will certainly increase the company’s reputation and image. Although I’m impressed with CVS’s decision to forgo the selling of tobacco products, I think there are several other areas that they can improve upon in order to compete with Walgreens and other retailers. Several of the stores are badly in need of renovations and they are often out of stock of merchandise such as certain vitamins and cold remedies. However, I think public image is extremely important, and it’s extremely respectable to see where their ethics lie even if it means loss of revenue.